Well here is my first contribution to Speedhunters, and it will have to be a bit of a short one I'm afraid. Sleep deprived and exhausted from what I can only describe as a pretty hectic week-end, I prepared some teaser shots from today's action at the D1-GP 2009 opening round in Ebisu. 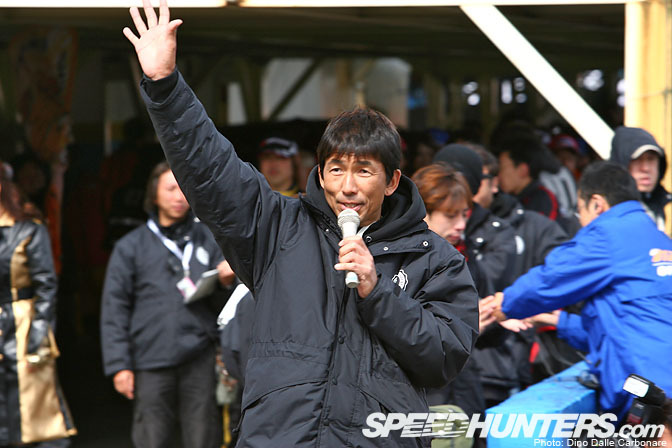 2009 looks like a year for chance for D1 starting with Super-GT driver Shinichi Yamaji joining the team as the new sub-judge. 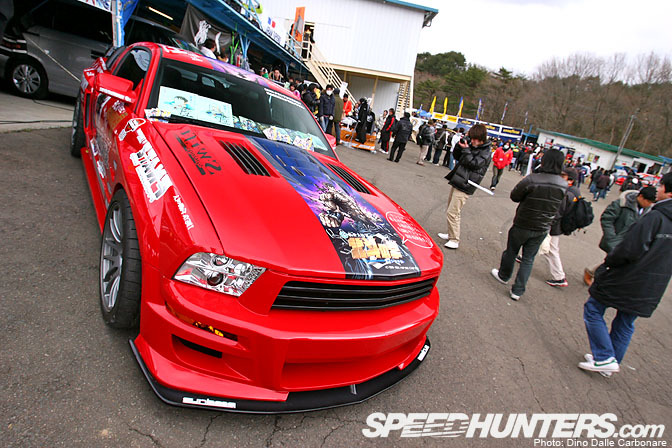 The car line-up is already looking a bit different this year and as we get into the 2009 season cars like Daigo Saito's new Mustang will join the show. The car was still in the same condition as when we saw it earlier this year at TAS but with Comic Bunch coming is as a sponsor things are set to move in the right direction. And I was very happy to finally see the Weld JZX100 in action. Just look at that engine bay! 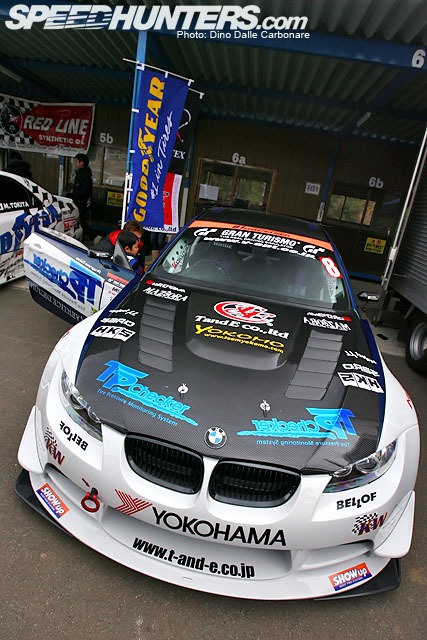 But for anyone with a remote interest in D1 the car everyone was waiting for was Ueno's 2JZ powered BMW 3-series. As I walked down the paddock early this morning the 3-series has just arrived on the transporter. I stood around for a few minutes waiting to hear the engine but when the mechanics started to push the car I knew it was a no-runner. Apparently it's only the fuel system that needs to be finished so the car should be good to go from Round 2 in Autopolis. 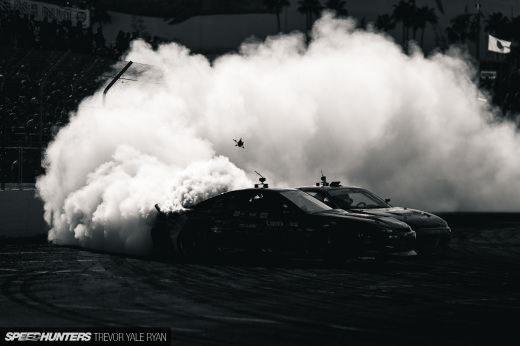 And finally a shot of the HPI S15 doing what the crowds love best, vaporizing tires! OMG Dino Dalle Carbonare!! Big fan right here, man! Welcome to the team! You gotta convince the other guys to get a photo of your Bay-side Blue GT-R34 up in here! Really nice photos, as to be expected! 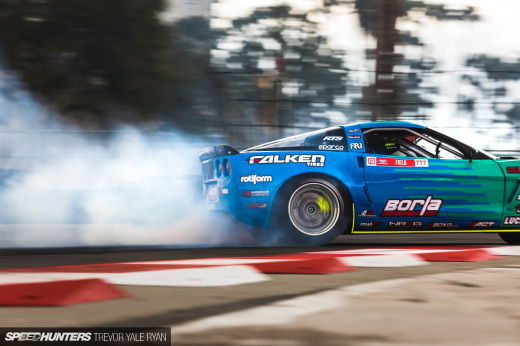 Haha, DCD has made it to Speedhunters! Hopefully your contributions will be just as good as to the GT-R UK forums and your old blog! Finally Dino Dalle Carbonare is back! I did read your blog ages ago and the latest one was J-Style..it has been long time never heard from you..may be you are blogging in another weblog which i don't know..>_< it's great you are back to us..i like your shots! 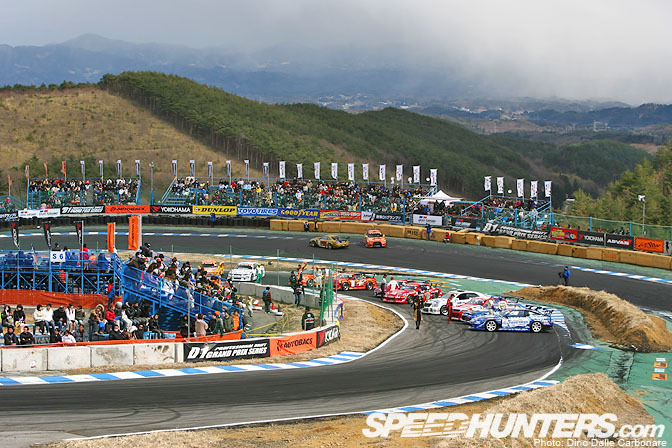 Wish to see more coverage on Round 1 of D1GP! Great to have you! Looking forward to more! any chance of a wall of the evo, its awesome !!! Love your work Dino! Looking forward to seeing more! The first thing I noticed was the fact that this was a Big-DDC blog, I figured it was full of win, and it was. Welcome to the SpeedHunters crew, Dino. Awesome shots, especially the Kumakubo shot. Haha they swapped the good ol' 4G63 into the X? Do they have any pics under the hood? Sounds impressive! Why did Kumakubo us the old 4G63, the new EVO X engine can easy be tuned to 500BHP! I hate when people get stuk in the past. Thanks for all the nice comments guys! And yeah my bad on the 4G63, haven't had a chance to see the engine bay and I heard they were using the old engine. I think this car is begging for a proper shoot, already discussed it with Koyama-san so stay tuned for more! nice coverage Dino! never seen any of your commisions lately...but still, it has the nicest shots! bout' Kuma's Evo-X, i'm agreed in what STJ said earlier. 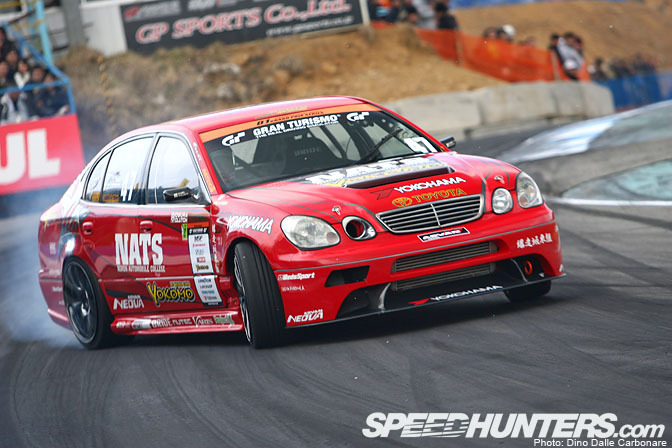 The car is powered by JUN AUTO's 4B11, stroked up to 2.3litre. Koyama-san did all the engine R&D earlier in his firm's Evo-X Tsukuba Super Lap car. Hey Dino, man havn't seen much of your stuff for ages, since issue 96 of HPI magazine. Nice post, always got some fresh angles. DCD = best photos in the world!